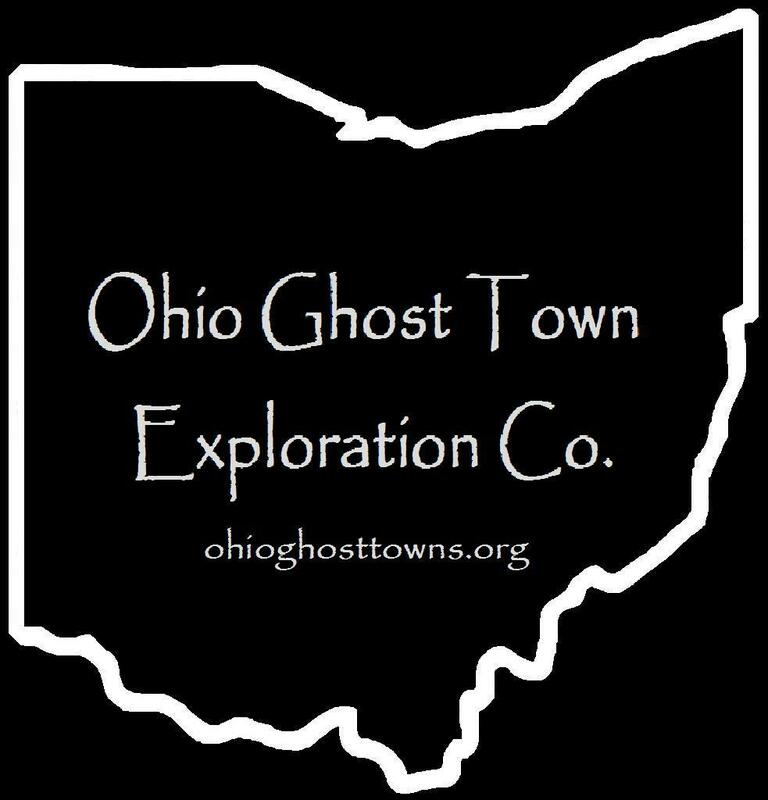 Hardin County – Ohio Ghost Town Exploration Co. Description: The town was founded in 1877 by German immigrants Charles Block (1841 – 1899) & Elizabeth Block (1843 – 1911) who had 5 children. They owned a saw mill, cider mill, general store, blacksmith shop, & employed local residents. Charles was also the postmaster & the town had a school & the church. The Block family moved out of the state & Blocktown ceased its existence around 1900. Charles & Elizabeth were buried with relatives in Oak Ridge Cemetery in Dunklin County, Missouri. Description: Geneva never made it past the proposal stage. When the Pennsylvania Railroad was built through the township, the future village site was moved north to the tracks. Dunkirk was platted there by Hugh Miller (1807 – 1890) & named by him after Dunkirk, New York. Description: It had a grange hall, Lynn Valley Grange No. 581 & a school. Many residents were buried in Norman Cemetery on the west side of Co Rd 115 about 3 miles south of the GPS coordinates. Description: It was on the Big Four Railroad & was listed in the 1901 Cram Atlas. Description: The town was founded by a branch of the McDonald family in the county descended from William McDonald who the township was named after. It was in the western half of the township along SR 67. Residents were buried in McDonald Fairview (Harvey) Cemetery. It’s also known as Old Fairview Cemetery. Description: Its proprietor Thomas McGoldrick platted the town in 1833 but it never grew any & he moved away after a few years. Description: Peru was platted with 90 lots & a public square in 1836 by Charles Cessna (1784 – 1864) who was born in Pennsylvania & arrived in the township later named after him with some family members around 1830. It had a store & a few houses but couldn’t compete with Huntersville or Kenton at the time. Two lots were purchased by the Governor Of Rhode Island but he didn’t move to Ohio or make any improvements on the land. Another two lots were purchased by a man from New York. He checked out the land, left because of the harsh wilderness it was back then, & never returned. Charles was buried with relatives in Cessna Cemetery. Description: It was platted in 1836 with 125 lots. Description: The town was platted with 48 lots in 1834 – 1835 by Andrew Sheller. None of the lots were sold or improved. Huntersville was laid out in 1836 by Thomas Hitchcock (1810 – 1897) & named after Jabez Hunter who was the first settler in the township. It had two stores, a blacksmith shop, church, saw mill, & a doctor. Up until 1882, Huntersville was the only village in Marion Township. It missed out on the railroad boom of the late 1800s though, which was the main reason for its decline in population as residents moved to more bustling towns. Huntersville lost its post office which ran from 1839 – 1875. These days, the town just has a Baptist church, small park, & a few houses. Thomas Hitchcock moved to California in the mid 1800s with his wife Naomi (Cory) Hitchcock & their children, but his father Isaac Hitchcock (1790 – 1877) is buried in Huntersville Cemetery with many other early residents. From SR 309, turn north onto County Rd 75 & take the first right onto Township Rd 74.